After a 19-year high for new drug approvals in 2015, 2016 saw a sharp decline. Including the six new biologics approved by the Center for Biologics Evaluation and Research (CBER), 2015 saw 45 new drug designations – the highest since 1950. By contrast, only 22 new drugs were approved last year by the U.S. Food and Drug Administration (FDA). Among them were eight first-in-class, seven breakthrough and nine orphan drugs. To expedite the approval and development of novel drugs that might address unmet need, the FDA also granted Fast Track status to eight drugs. However, the specialty pipeline still has a number of promising drugs for several disease states. Notable therapy classes with a strong drug pipeline include autoimmune conditions, such as rheumatoid arthritis (RA) and psoriasis, oral oncology drugs, especially for breast cancer, and several infusion drugs for neurological diseases such as multiple sclerosis (MS) and amyotrophic lateral sclerosis (ALS). Among the drugs in development are oral breast cancer treatments for several key sub-populations including patients with advanced or metastatic breast cancer, as well as pre- and post-surgery patients. There are multiple injectable drugs in development for MS, psoriasis and RA, as well as an oral agent for RA, all of which may be approved next year. These products will help add competition to the class and give payors an opportunity to utilize specialty guideline management (SGM) criteria to help control costs through prior authorization and step therapy. One product that could have a significant impact on trend is dupilumab, for the treatment of atopic dermatitis (eczema). It is the first specialty drug in a class that is typically dominated by low-cost alternatives, including over-the-counter medications, and could cost up to $20,000-$30,000. A key development in this class is also the first therapy to treat primary progressive MS, which currently has no approved treatment. Ocrevus has been granted breakthrough therapy designation by the FDA. This class may see introduction of biosimilars in the coming years, although multiple patents for the category leaders and ongoing litigation have delayed product launches so far. Our Advanced Control Specialty Formulary (ACSF) can help manage appropriate use of the most cost-effective treatments through a preferred product strategy. The neurology category has at least two oral and four injectable medications in development, all of which are expected to be approved between 2017 and mid-2018.1 These could include more than one orphan and breakthrough therapy. Breakthrough therapies are drugs that treat a serious or life threatening condition and for which evidence demonstrates substantial improvement over existing therapies on one or more clinically significant endpoints. An ALS therapy, edaravone, has been granted an orphan drug designation by the FDA and a decision on the drug is expected by mid-2017. Ingrezza, which is a proposed oral treatment for tardive dyskinesia, was granted breakthrough therapy designation. Tardive dyskinesia causes involuntary, repetitive movement of the face such as lip smacking, grimacing and tongue protrusion, and the symptoms are rarely reversible. Currently there are no FDA-approved treatments. The company is also studying the drug for Tourette syndrome. Other drugs in this category include Austedo for Huntington’s disease, and two drugs – galcanezumab and erenumab – for migraines. The manufacturer of Austedo is also evaluating its effectiveness in treating tardive dyskinesia. Although the promised relief of biosimilars has been slow in becoming reality, we anticipate the launch of at least some of these lower-cost alternatives over the next several years. In development are alternatives to existing reference biological medications including blockbusters like Humira, Enbrel and Remicade. At least one biosimilar has been approved for each one and another alternative to Remicade is expected to be approved next year. 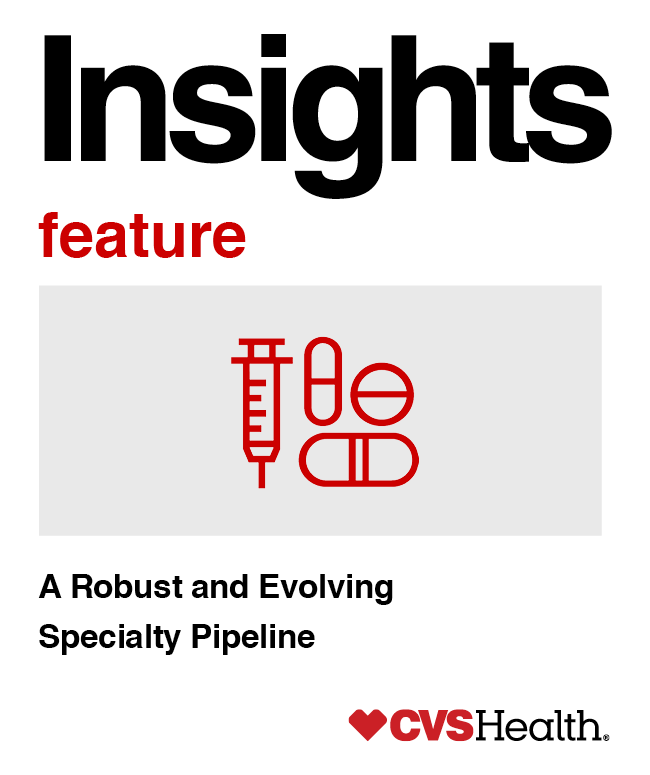 We continue to closely monitor and evaluate the specialty pharmaceutical pipeline in order to develop ongoing reporting and budget-impact modeling, and implement trade and formulary strategies that help ensure patient access to clinically appropriate treatment options while helping control costs for payors. We monitor market insights, analyze client population and make proactive recommendations to help mitigate the trend impact from these expensive drugs. In addition to the new drugs in development, we also monitor and measure the potential impact of supplemental indications received by a manufacturer post-market. Supplemental indications are approvals for use in treatment of additional conditions received after a drug is launched. Currently, there are at least 101 applications for new indications for existing drugs. Our proven management strategies include tools such as utilization management criteria with rigorous approval requirements, new-to-market evaluation and formulary management through a preferred product strategy. Our comprehensive management creates incremental opportunity to help control costs while improving outcomes and will continue to provide updates on the rapidly evolving specialty pipeline. * CVS Enterprise Analytics, 2016. 3. Medispan drug pricing, 2016.